U-Multirank is a multidimensional, user-driven approach to international ranking of higher education institutions. It compares the performances of higher education institutions – in short: universities – in the five dimensions of university activity: (1) teaching and learning, (2) research, (3) knowledge transfer, (4) international orientation and (5) regional engagement. 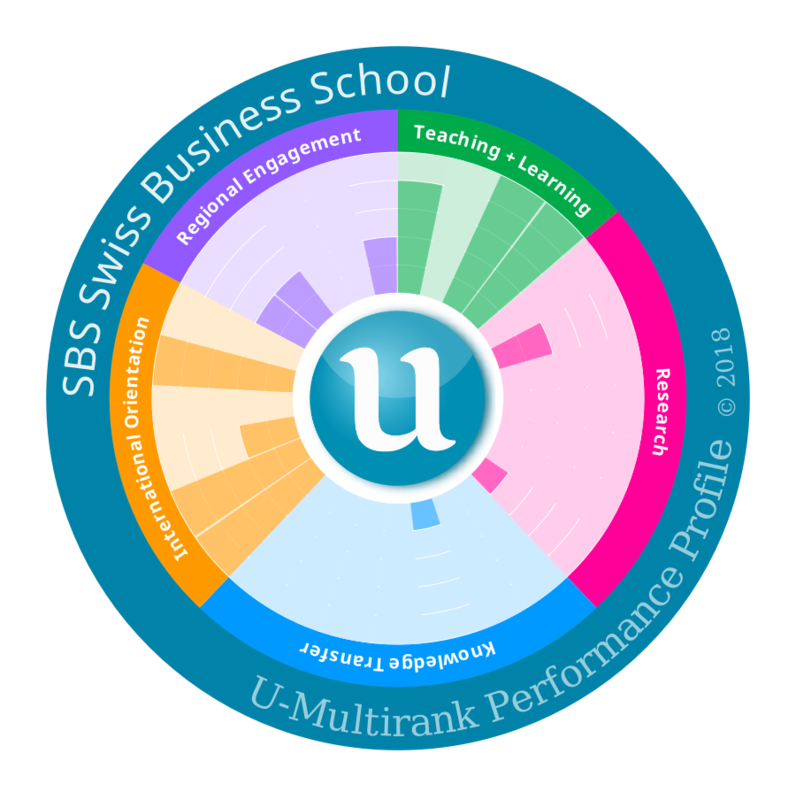 U-Multirank is an independent ranking prepared with seed funding from the European Commission’s Erasmus+ program. 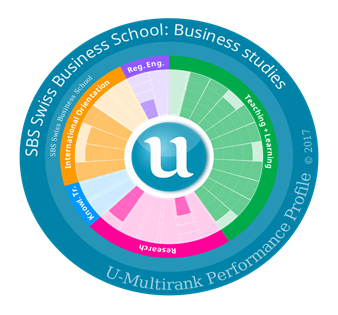 SBS Swiss Business School has been ranked by U-Multirank for 2 consecutive years, with strongest results in teaching and learning, and international orientation.